I finally got around to catching-up on posts and viewed your video today. FANTASTIC! You did a tremendous job of shooting, editing and producing. I can only echo the comments of others here. This is one for the ages. Thanks Alex! Really appreciate it! theonly_JT wrote: Stephen, you've really outdone yourself this time!! Such an well done film from the drone footage and music to the stunning underwater stuff. Will be sharing with family and friends. Well done dude. I think my favorite part was the massive group of rays. Thanks JT! Now if we can just import some of those animals to our waters! Gdog wrote: Brother, you hit this one outta da park. Wow. Stunning!!! Stephen, you've really outdone yourself this time!! Such an well done film from the drone footage and music to the stunning underwater stuff. Will be sharing with family and friends. Well done dude. Brother, you hit this one outta da park. Wow. Stunning!!! bradmond wrote: Fantastic Stephen!! Thank you for creating these videos for us to see. They are all so amazing. Thanks Brad. Glad to know you're still alive! Fantastic Stephen!! Thank you for creating these videos for us to see. They are all so amazing. jmartel wrote: Nicely done. I like that you kept the regulator noise in there in the background instead of just cutting it out completely. Haha, yeah, I added that in. Actually, I looked for a section of clips that had fairly normal breathing sounds. It turns out I make a lot of weird noises underwater! And, I also cuss a lot when I can't get things in focus or some other camera problem frustrates me. So, yeah, that's the fully edited and censored underwater breathing track. fmerkel wrote: Fantastic! Did you take a drone for the aerial shots? Yep, I dragged a DJI Phantom 4 around the world to get those shots. 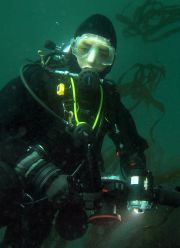 Worthwhile but a pain when carrying all the other scuba and camera equipment! I agree!!!! Really well done!!! A work of art! Thank YE. I think the thing you ask what is it, is a Cowrie. You're probably familiar with their shells. Fantastic! Did you take a drone for the aerial shots? Nicely done. I like that you kept the regulator noise in there in the background instead of just cutting it out completely. I took a trip to Komodo in Indonesia last July and have just now finished the video. I used a brand new camera setup, the Panasonic GH5, and learned a lot I wish I knew before the trip! The highlight of the trip was witnessing a school of 200 - 300 cow nosed rays. Anyway, Indonesia is a very special place on this earth. 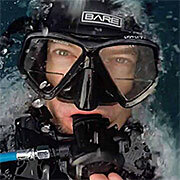 If it's not on your dive list, it should be!